← Blogging Knowledge – Look out World. Here comes Microwave Service Company. We are pleased to report that we now have a small range of Lekue Premium silicone products for sale on www.kitchenwareonline.com. We have chosen a few useful and interesting items initially but will grow the range over time. Lekue are Spanish and have been producing innovative silicone cookware and kitchenware products for many years. Using Platinum premium silicone their products are 100% safe, very attractive and durable. We have some moulds which are easy to use and offer unusual and interesting food displays. (A square boiled egg is easy for example). 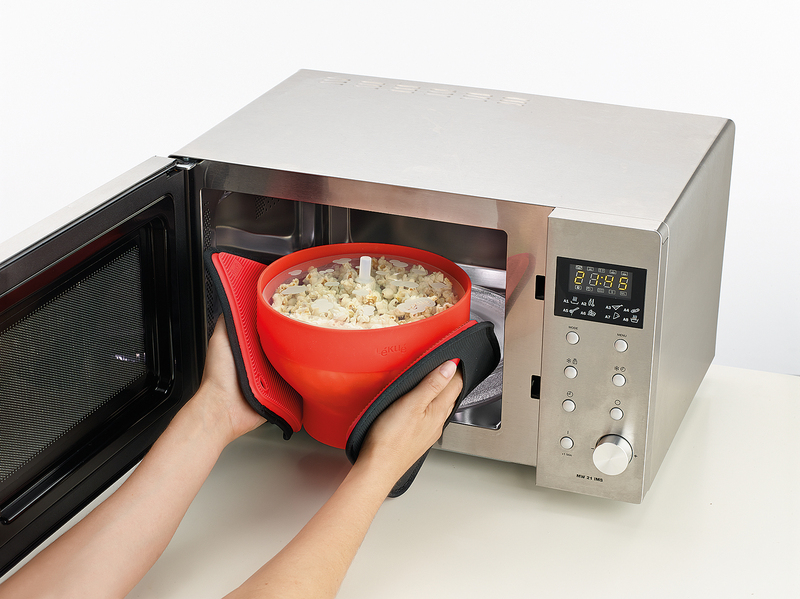 A folding microwave popcorn maker which is so easy to use and store. Also we have chosen some interesting bread moulds for use in conventional ovens which will compliment the range of bread maker spares and accessories that we already offer. Please take a look and if there is anything you would like us to think about adding to the range please let us know. This entry was posted in General, Microwave tips and hints and tagged lekue cookware, lekue kitchenware, microwave popcorn, microwave popcorn maker, popcorn maker, silicone cookware, silicone microwave cookware. Bookmark the permalink.